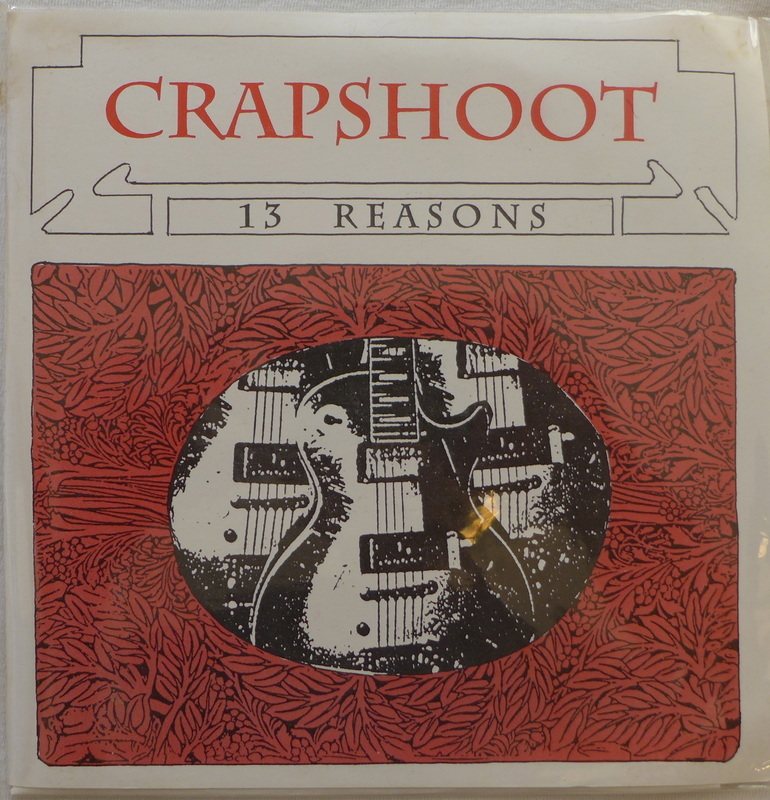 CRAPSHOOT was a band that I had while I was living in Austin in the mid 90's. I recorded this record while I was in the process of moving from Milwaukee to Austin, before I put a band together. We did the base tracks in Chicago, I think, and I finished it up in Austin. Ironically enough, I enlisted the help of old pals Joe Losurdo and Anthony Illardi to play bass and drums for me. This trio would eventually form HC band REGRESS. I also used one track from an old KILL CITY demo that I wrote, called "Glory Train", to add a fourth song for the record. I was on a big Dave Edmunds/Rockpile trip during this time, and it shows….. This is the CRAPSHOOT "13 Reasons" ep. I still think "All Been Done Before" is a great track. This is what the actual band ended up sounding like. Kind of a cross between Foo Fighters and early Replacements, I guess (at least that's how we were written up once in a SXSW preview list). This was me on guitar, songwriting, and vocals, Tim Ford on bass, and Christian Kazen on drums. These are from the second demo we recorded. This was recorded live in the studio with full band, without overdubs. I still love "Desolation". I later recorded these tracks in my home studio in Austin, TX with the full band. Late 1990's.